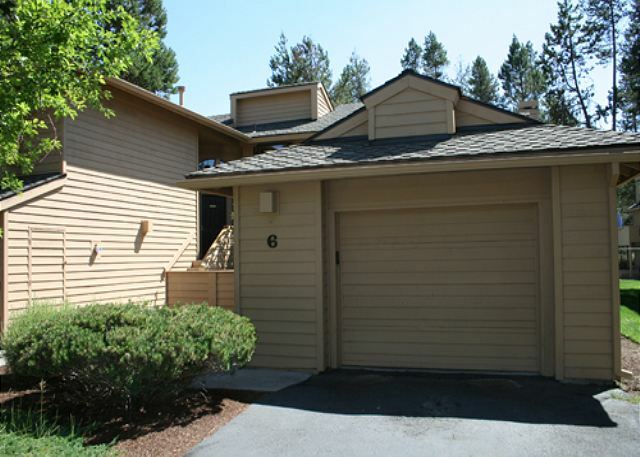 Fairway Village Condo #6 is a high end condo in the heart of Central Oregon...Sunriver! 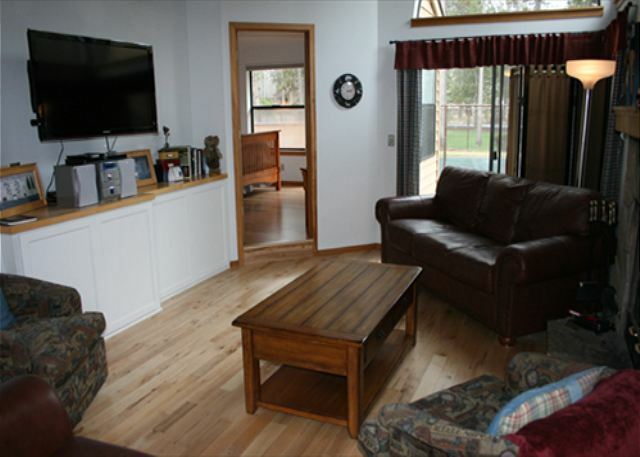 Leather sofas, a fireplace and a large flat screen TV invites you to begin your vacation. 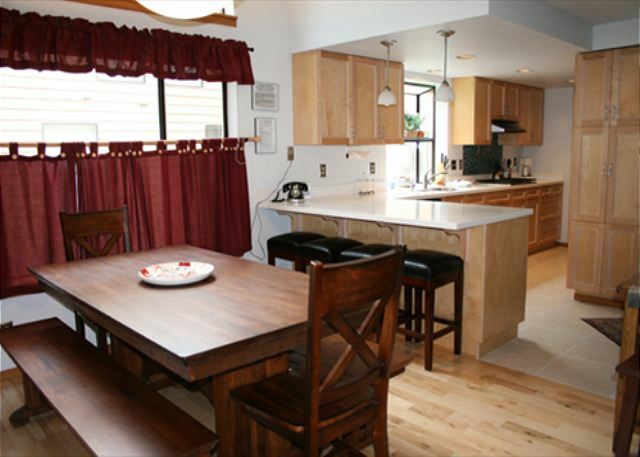 The hard wood floors are a canvas to the contemporary furnishings in the great room and dining area that lead to the fully stocked kitchen. 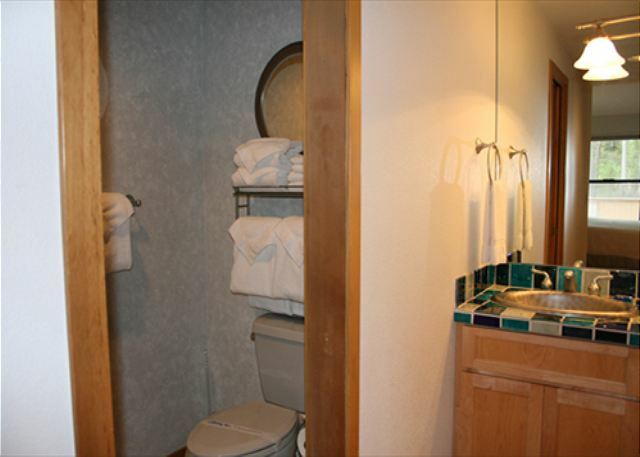 The master bedroom downstairs provides a king bed, private bath and personal access to the private hot tub. 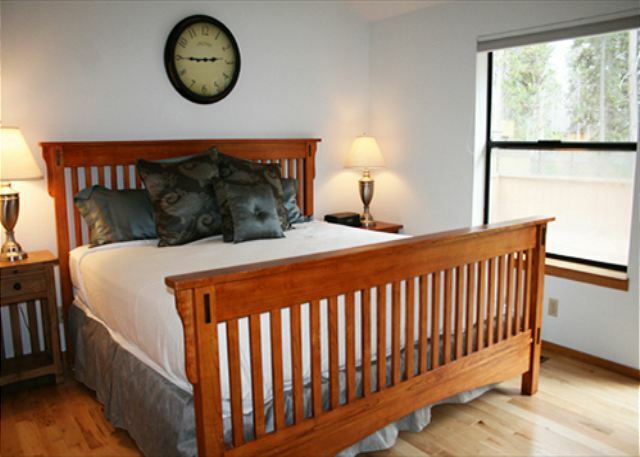 The master bedroom upstairs offers a queen bed and private bath and the 3rd bedroom includes 2 twin beds. 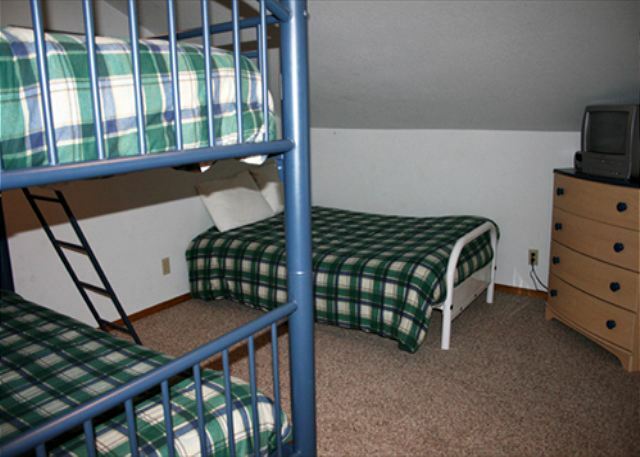 The loft area has a bunk bed and a double futon...great space for kids and teens! 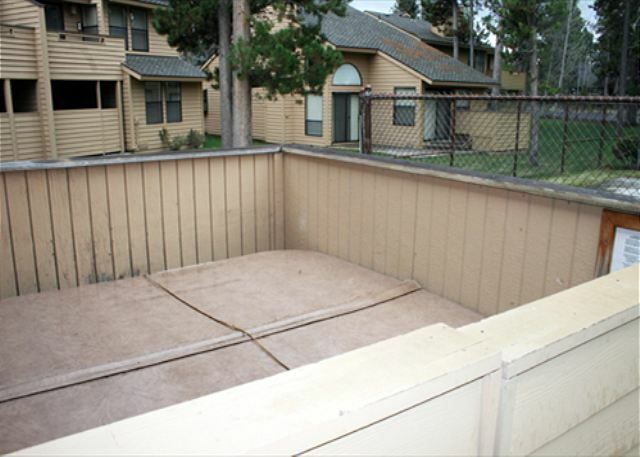 Relax in your private hot tub or take a few steps to the pool and soak up Sunrivers year round sunshine. Area activities include fishing, biking, hiking, sledding and golf. You can also try out whitewater rafting or skiing Mt. Bachelor! This was our 14th year renting and we adore this condo. 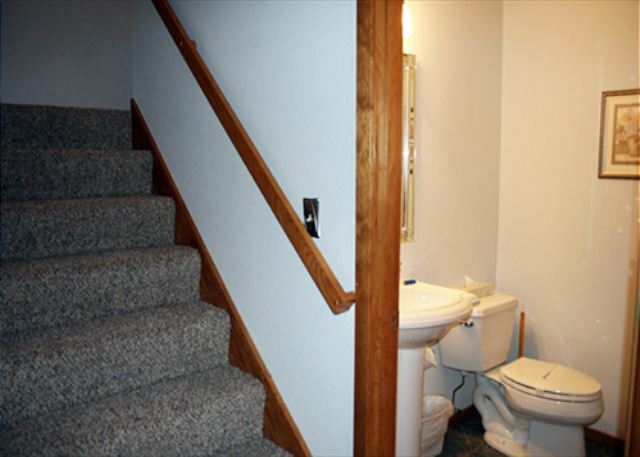 It has everything a family needs to be relaxed. Especially love the open floor plan and the pool. Thanks so much for the great review Dana! 14 years....that is so awesome! Lots of memories taking place. We hope you visit us again soon! Was there for a wedding and family reunion. The home was very nice. Lots of activitys for the kids and wonderful golf for my husband and son. Thanks for the great review! Come again and visit us soon! 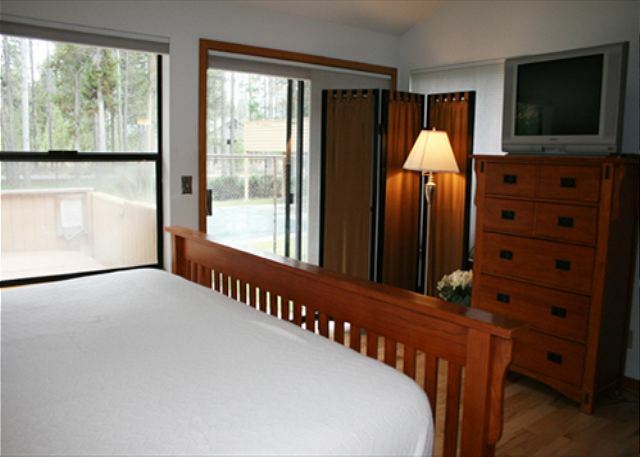 The property was great for our family (enough bedrooms and items needed for stay, i.e., towels, dishes, etc.). Unit was being painted and painters were not intrusive. However, some windows were covered for a day and the smell lasted for a day. On the downside, the bbq grill was unusable (rusty). Sunset Lodging was excellent with their service (no pool key when we checked in and it was delivered asap). Everything was clean and ready to use. Would definitely rent again. It was a perfect layout for 4 friends. 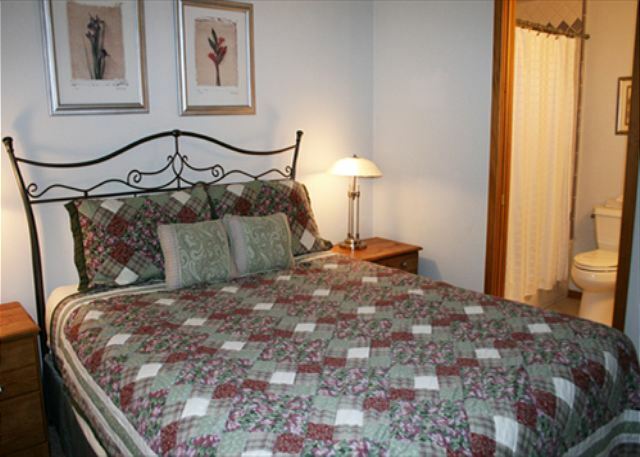 The bedrooms were situated for privacy between rooms, though the bunk room had a curtain to the living area. The dining area had a large table so we could play board games. And the carpet seemed very new. The bikes were usable to take advantage of the trails. 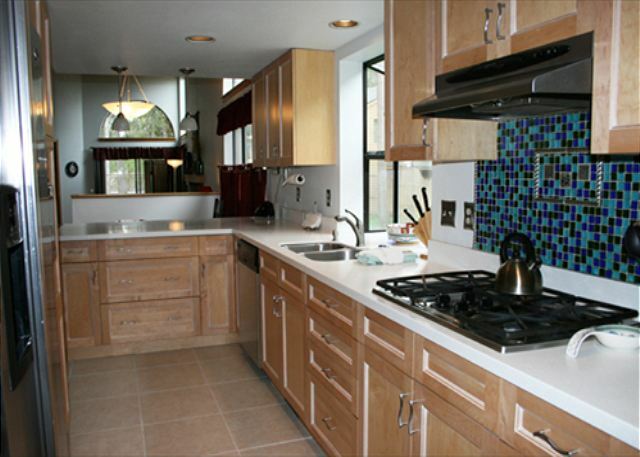 Good floor plan and it's pet friendly. Nice to have the private hot tub too! 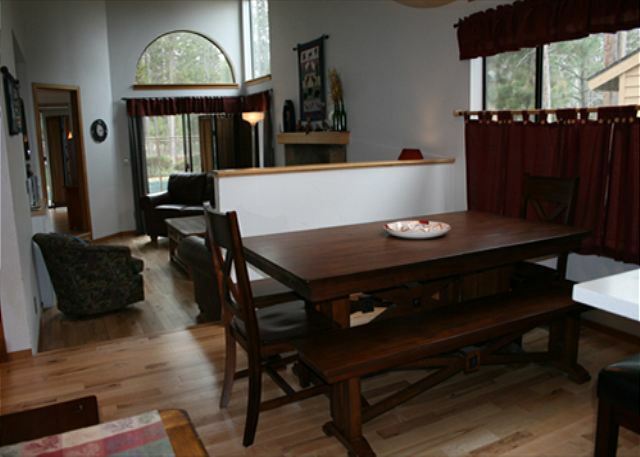 We've rented FW Village #6 on many occasions and have always enjoy our vacation at this condo. The SHARC gets pretty busy during the summer months, that is for sure! Glad you had a pool of your own to enjoy. We hope you'll join us again soon in Sunriver. We have stayed in the condo every year for about the last 10 years except for last year and boy did we miss it. 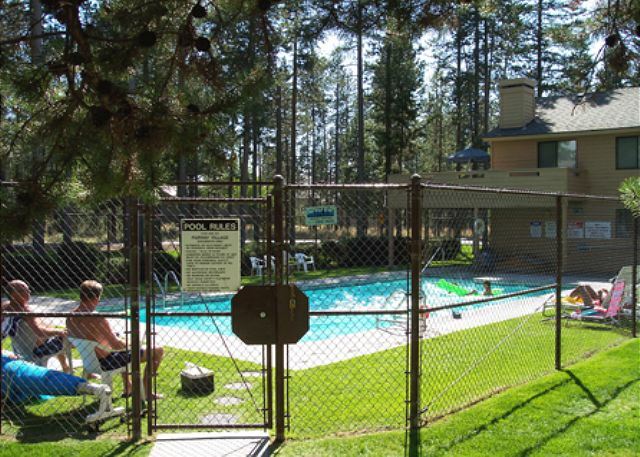 We love Sunriver and this condo, it is in a great location and you can walk out the back door and the condo pool is just steps away. There are many bikes that are there for use along with some pool toys, lawn chairs, etc. I highly recommend this condo. Thank you, Darcy! Fairway Village 6 is one of our most popular condos and we always love hearing from our guests as to why it is so great. 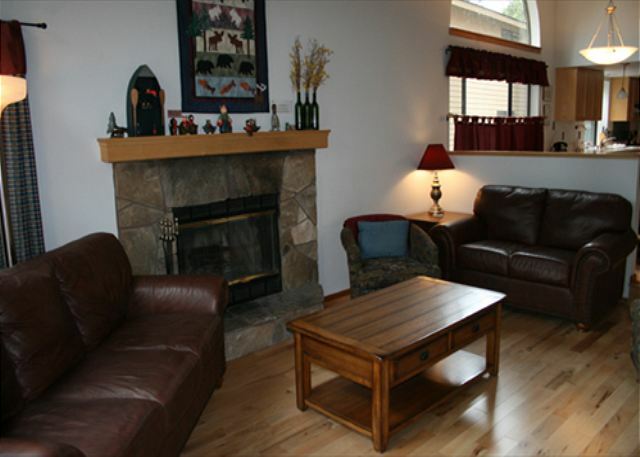 Sunriver offers so many ways to relax, unwind, enjoy nature and just chill out. We hope you'll come back soon, your Sunriver memories await!